Many thanks for the links, Frank. Paul Scoles layout is fantastic and a major inspiration for me. 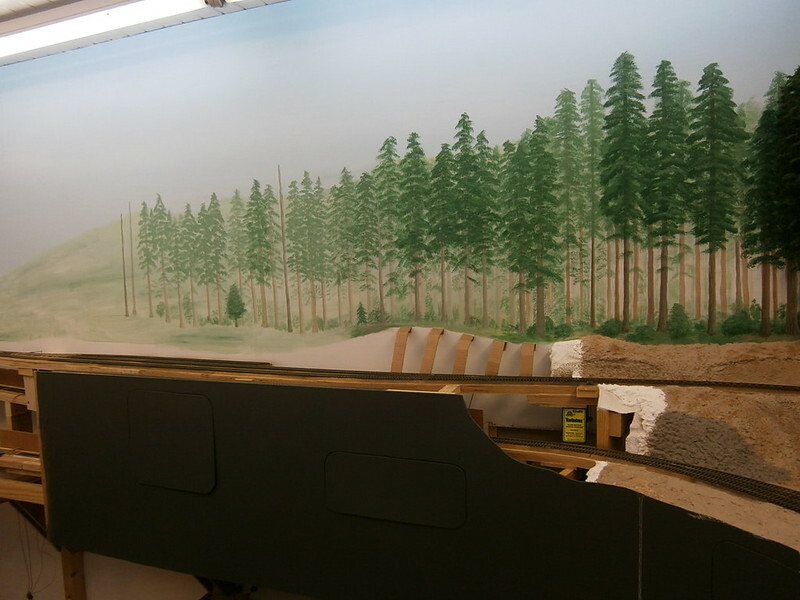 I especially like his big tree grove and his methods on making scenery. His modeling and weathering is very much to my liking and I inspire to hopefully one day achieve something similar. Don Ball and Craig Bisgeier does amazing work and I keep looking at their homepages from time to time. Dons locomotives and rolling stock looks great, especially his passenger cars. Other inspiration sources for the time period are the work of forum members like Dave Emery, Bob Harris, Doug Coffey, Greg Rich and Bernard Kempinski although Bernard models the civil war. I don't tend to post much these days but I've been following this thread since it started and am incredibly impressed with your work. Amazing! Always looking forward to more. It has been awhile since I posted an update so I'll see if I can post one in a day or two. It took longer than I thought before I could post some progress photos. 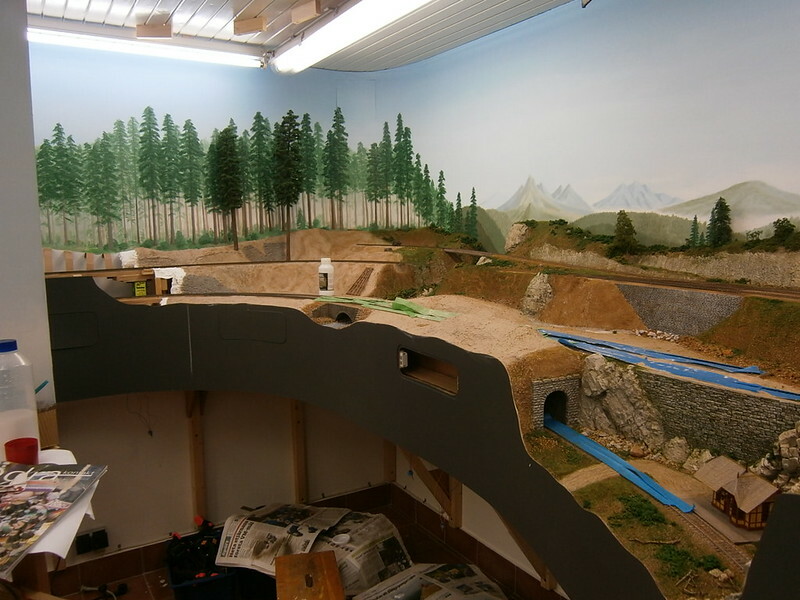 The work area on the layout has been a mess with lots and lots of containers with landscape material so it had to be cleared before I could take some photos. I have been working on the background and the big trees grove area. In the area I have a fast running stream which has been a little of a headache on how it should be done. I tried various techniques with clear silicone, gloss gel and gloss varnish and tested those on some mockup stream beds but I was not entirely happy with either of them. But I settled on a method with many layers of gloss gel mixed with layers of white to get a frothy feeling. I have just poured the first layer with gloss acrylic varnish as you can see on the pictures. It looks bluish but hopefully will dry clear. 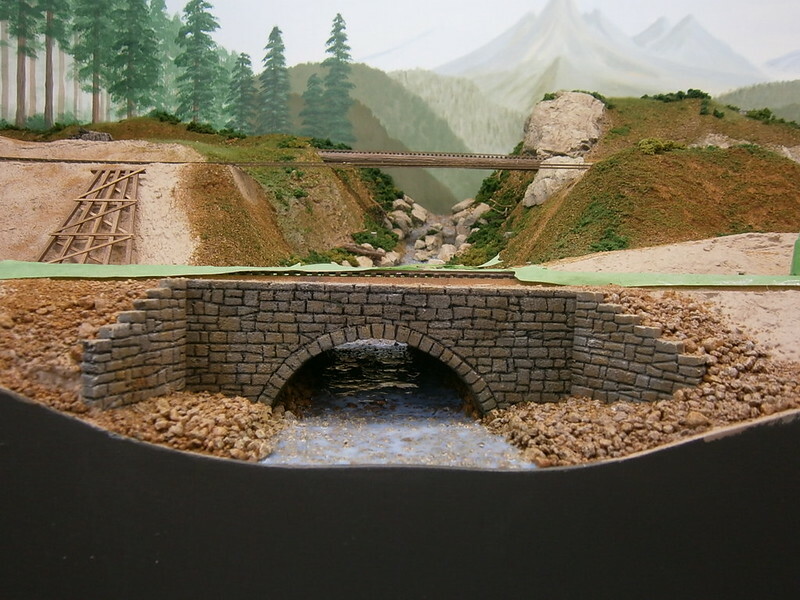 Crossing the stream will be three bridges, the first one a stone bridge combined railroad track and a dirt road. The second above from that is the mainline to Dunsmuir which rides over an ordinary trestle. 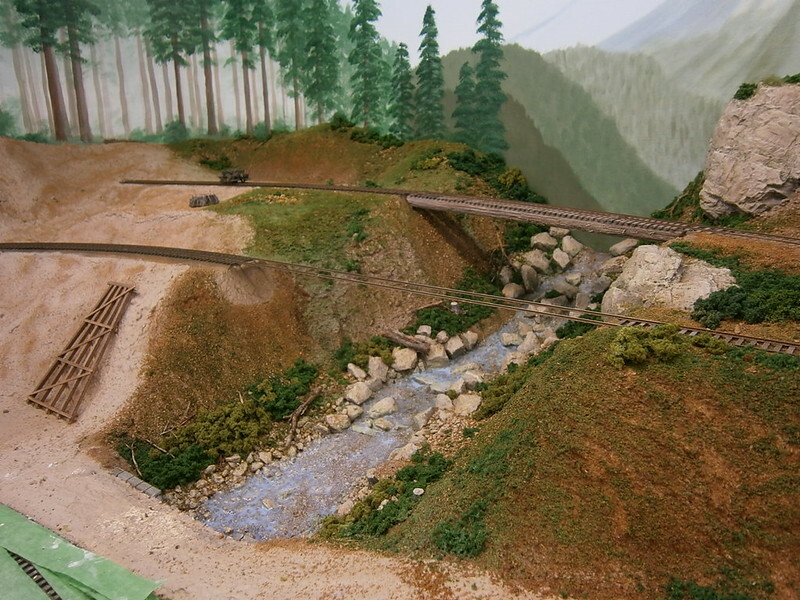 The third one will be a timber cribbed bridge for my 8% grade logging track. 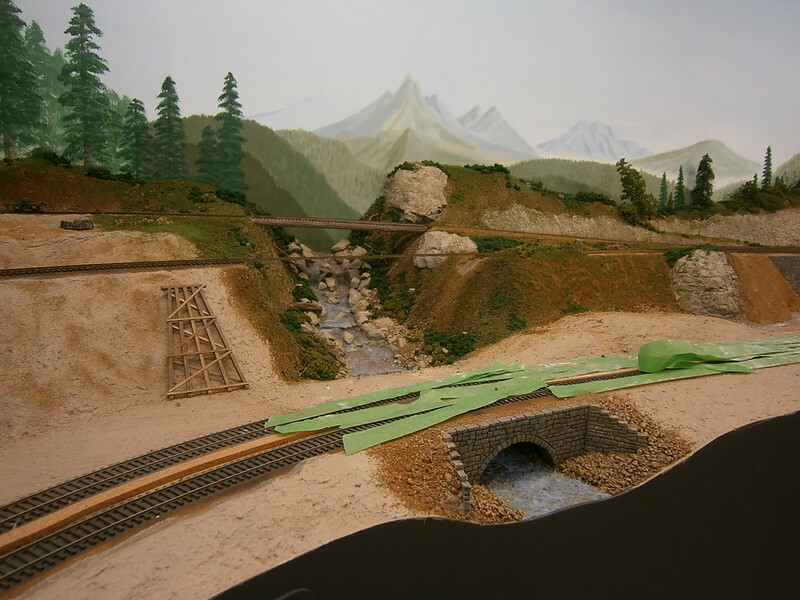 I have tried to give more thought on how the landscape looked before the railroad came and worked a lot with cuts and fills. In the big trees area I painted the background first and tried to get the feeling of a dense foggy forest. The trees were painted in layers getting the trunks and foliage darker and darker as they came closer to the viewer. I have tried to mix color of the green foliage so it will go together with the model trees. The trees is tough to make but I have made around 12 trees up to date. Only about 40 more to go . I'll also try to make a few cedars and dead trees for some variety. View from the entrance to the train room. Around the redwood grove area. The station will be called "Cathedral". The future depot will be placed approx. at the bottle. Around the corner with the background in progress. The stream. I'm probably working a little backward with the building of the bridges. 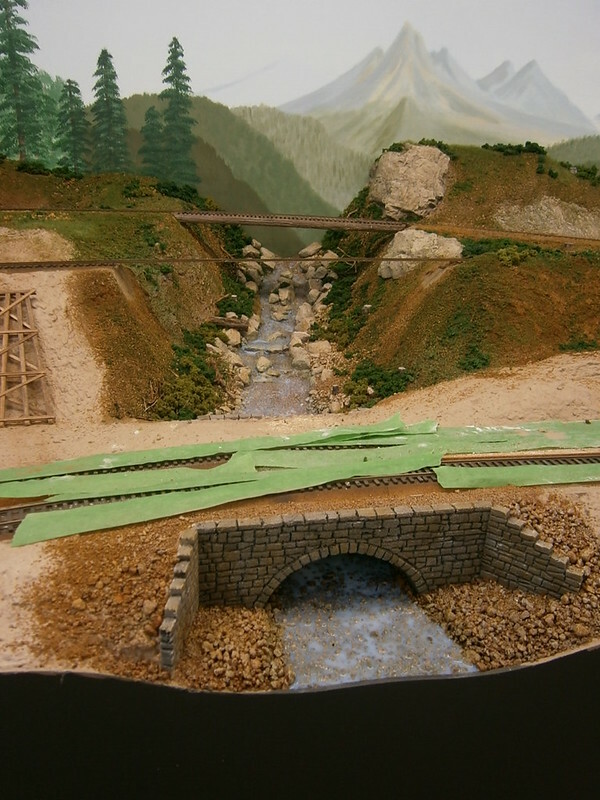 If the scenery looks a little wet it is because before I took the photo I just have put on some grass and glue. A picture showing hopefully a little what I'm trying to achieve with the redwood grove. 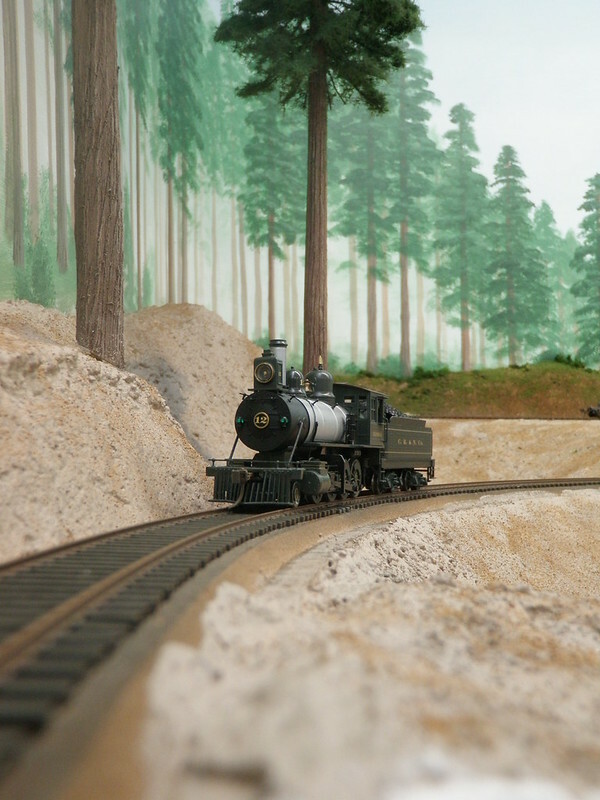 The contrast of big trees and tiny trains. 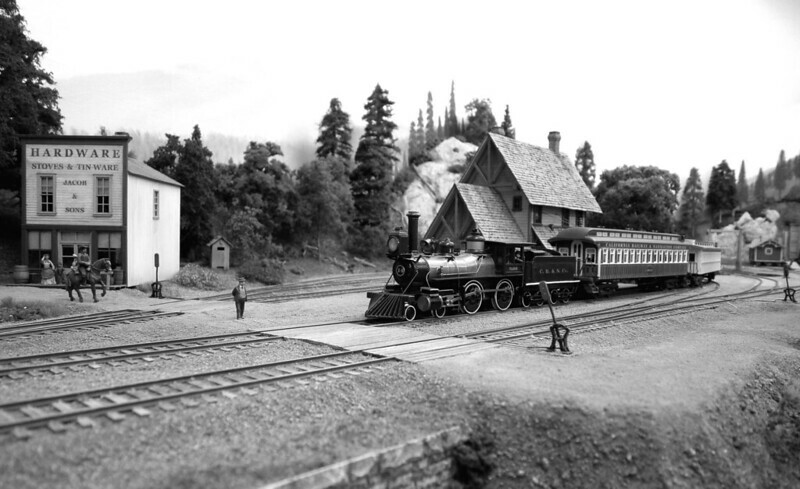 Dunsmuir station 1889 with a local coming in. It is looking gorgeous H�kan. 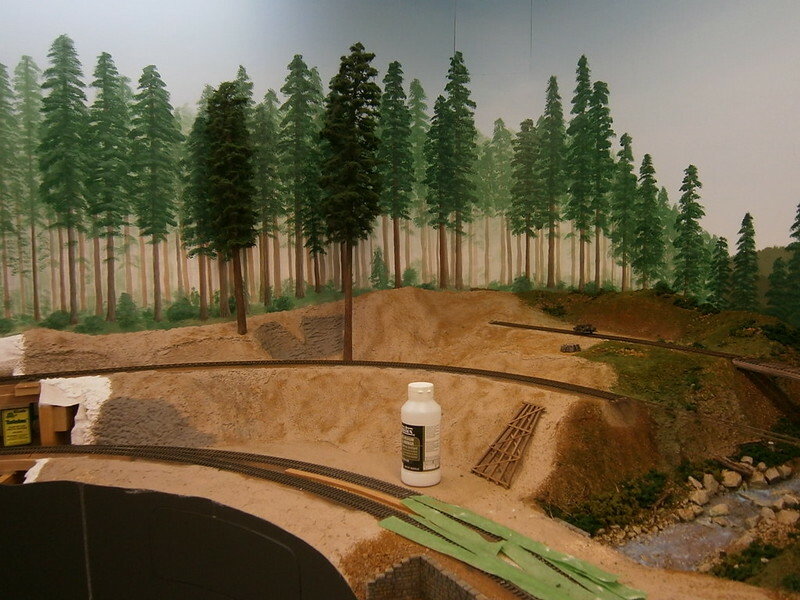 Looks good Hakan, you did get the big trees tiny trains feel here ! I do want to drop my fishing line into that stream too, but I 'm afraid my line weights would just bounce off its surface. It's going to look beautiful when you're done H�kan. W W! Shaping up beautifully ... really like how you're doing "test shots" of each scene as it develops ... you're obviously headed in a really, really good direction with things here! Doug, Martin, Bob and Dallas. Many thanks for the kind words! Nice tree background painting. Looks like you had lessons from Bill Alexander and his "happy little trees". I had no idea who Bill Alexander was until you mentioned him. But I googled him and he sure knows how to paint! I have posted a picture of the future "Cathedral" depot that I will scratchbuild. 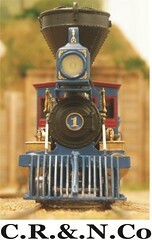 I found a nice picture in a book I have on Train depots and Roundhouses. It will be a little shorter compared to the photo but will otherwise have the same configuration. No semaphore though. The main reason for its existance will be taking care of vacationers coming to drink water from a local spring. Catch!? Come on now H�kan, Fishing, like Golf, is just an nice excuse to take a nature hike. The Station is a excellent prototype. I look forward to seeing your model of it. Hello H�kan,sorry for not chiming in sooner, on your excellent scenery work that you are doing. And this station above that you are going to scratchbuild looks like another winner! I love the shaped slates on the roof, or are they shingles? The place is called Cathedral and the visitors come to drink the spring water. So...I guess this water must be Holy water then. Your layout is really looking good. I like your scenery. H�kan your doing a fantastic job with your layout it has become a real pleasure to read through. It will be interesting to follow your building of the train depot.